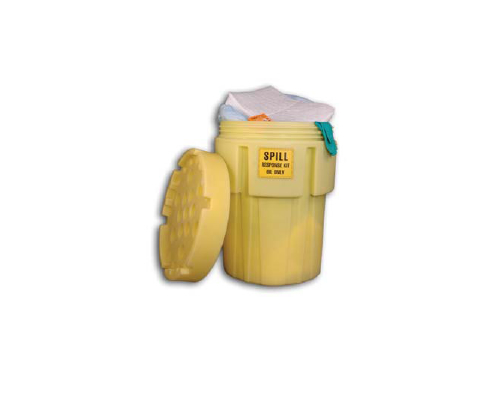 After cleaning a spill, dispose of your used absorbents in either a 55-gallon steel drum lined with a 6 mil poly bag or use our cost-effective corrugated waste container. This heavy-duty box will hold the equivalent of four 55-gallon drums. This will save you money in transportation and disposal. Corrugated waste containers are rated for packing groups, I, II, and III. Call GIANCO at (631) 952 - 9900 for all of your hazardous and non-hazardous waste disposal needs.